September 15th sees the start of the two day conference Nano Meets Spectroscopy at the National Physical Laboratory (NPL) in Teddington, a leafy suburb of London. Elliot Scientific is attending along with our Optical Tweezer system and demonstration equipment from M Squared Lasers, nano-positioners from Mad City Labs, a fibre laser by IPG Phontonics and an EQ-99 laser-driven light source from Energetiq. Nano Meets Spectroscopy is a multidisciplinary event centred on the biosciences. It will bring together leading experts in the fields of fluorescence and Raman spectroscopy who have common aims in the science and technology of molecular measurements. Also, key areas of research involving super-resolution microscopy, metal enhanced fluorescence, protein aggregation, single-wall carbon nanotubes and metabolic sensing will be discussed. 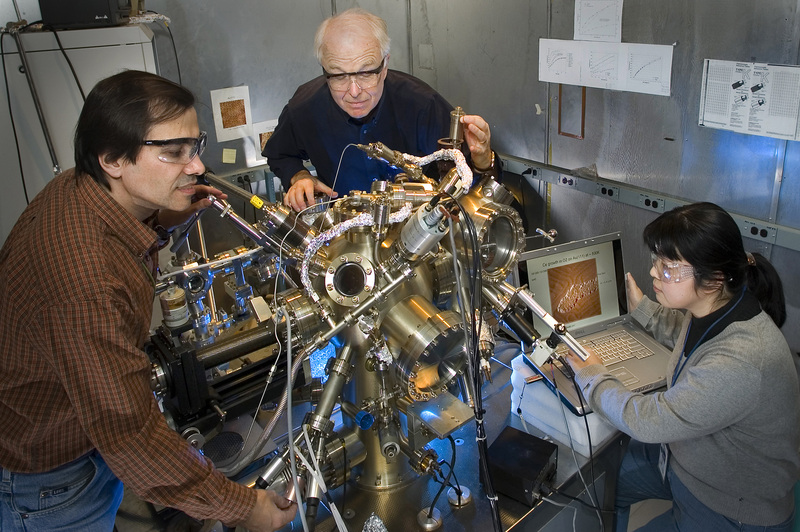 Photo: Single Molecule Spectroscopy at the Brookhaven National Laboratory. Courtesy of the USDE.